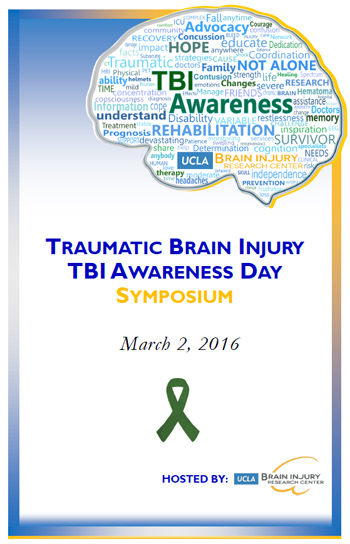 The UCLA Brain Injury Research Center (BIRC) is providing a free one day symposium by leaders in the field of TBI. The event is open to everyone but geared toward Physicians, Nurse Practitioners, Registered Nurses and Rehabilitation professionals. A review of Traumatic Brain Injury from concussion to severe brain injury, as well as the spectrum of TBI recovery, will be discussed. No CME or CE. Lunch will be provided. What is the Brain Injury Research Center? The UCLA Brain Injury Research Center (BIRC) is a research program that specifically works to understand Traumatic Brain Injury (TBI). The UCLA BIRC has two vital arms, one is the Laboratory Neuroscience arm and the other is the Clinical Neuroscience arm. One of the unique strengths of the UCLA BIRC program is the translational nature of the research. The BIRC has been able to take new findings from our basic science research and confirm the observations clinically. In addition, we have been able to take new clinical problems and test solutions in the basic science laboratories. Patient enrollment into our adult clinical research program is determined by consent after arrival to Ronald Reagan UCLA Medical Center. Once a patient is enrolled, both patients and families are provided with resources to assist with this stressful event. We provide social and educational materials for the family to better understand TBI and the path to recovery. An important initiative of the BIRC is to educate children, teenagers, and adults about basic neuroscience, share facts about traumatic brain injury and instill habits to protect the brain from injury. Educational events such as our annual TBI Awareness Day events, our social media #tbiisnotsilent, and our outreach to patients and families after TBI are ways we are making a difference. The event is open to the public, but geared toward Physicians, Nurse Practitioners, Registered Nurses and Rehabilitation professionals. Registration is optional. Registration for the event helps us know how many people are attending and allows us to notify you of future events. If you would like to register, please visit: www.eventbrite.com/e/ucla-tbi-awareness-day-tickets-20095021751. A complimentary luncheon will be provided. You may valet park in front of Ronald Reagan UCLA Medical Center, for an all-day charge of $12 or self-park at the UCLA Medical Plaza, or any parking kiosk for a $12 charge. Additional parking with reduced rates is available in Westwood Village. What topics will be covered in this symposium? Will there be exhibitors or activities? There will be many opportunities to obtain information, participate in interactive simulations, and ask questions. Center for NeuroSkills (CNS), Casa Colina Hospital for Rehabilitative Medicine, CareMeridian, The UCLA Steve Tisch BrainSPORT Program, The UCLA Longevity Center, and The California Brain Injury Association (BIAA) are just some of the great exhibitors that will be at TBI Awareness Day 2016. Will I receive CME or CE credits? No CME or CE credits are provided. You can make a donation to the UCLA Brain Injury Research Center to help support our important research, and provide funding for our educational outreach such as TBI Awareness Day. Your generous donation allows us to continue to provide informational resources to TBI survivors and affected family members.